Coles Crossing & Cypress Creek Lake residents...Show your USA pride while supporting the local Rotary Club of Cypress-Fairbanks by subscribing to our Fly Old Glory Flag Program. In exchange for an annual subscription price of $50.00 we will place a 3-foot x 5-foot American Flag on a 10-foot pole between the curb and sidewalk in the front of your house. These are high quality all weather flags that are made right here in the USA. Holidays included are: President's Day, Memorial Day, Flag Day, Independence Day, Labor Day & Patriots Day. Afterwards the flags are removed and properly stored at our facility until the next holiday. Proceeds from this flag program enable us to contribute to a variety of worthwhile charitable programs both at home and internationally. These include Disaster Aid USA, Cy-Hope, Cypress Assistance Ministries, Boy Scouts, Girl Scouts, Shield Bearer and many more! 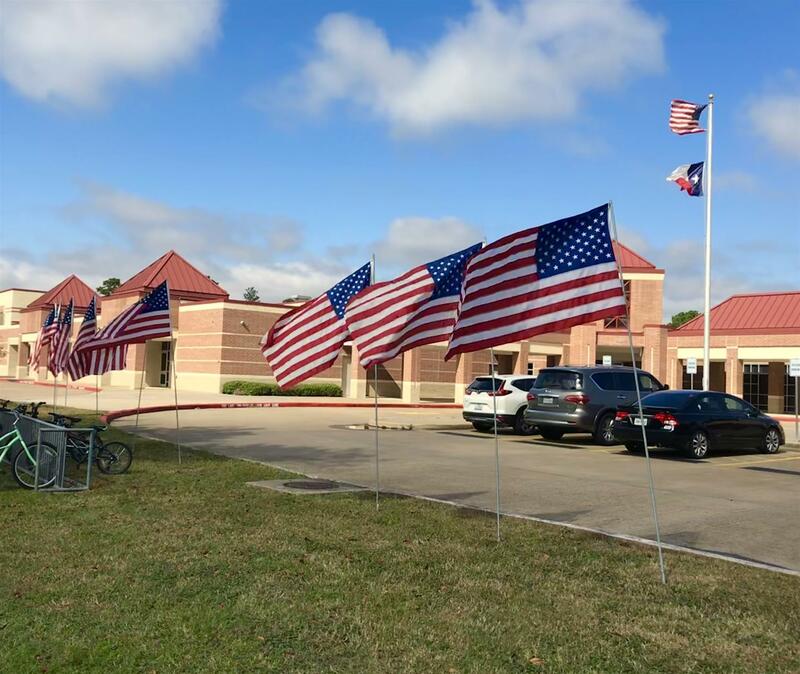 Proceeds from the flag program benefit Rotary Club of Cypress-Fairbanks Foundation, a nonprofit 501 (c) (3).